Dermatologists in NYC may use a number of different IPL wavelengths; each designed to treat specific skin disorders from vascular lesions that targets the red pigments in your blood, age spots and pigmented birthmarks to melanin wavelength for hair removal. Make your appointment today with IPL specialist Dr. Bard to experience highly personalized and comprehensive care in our dermatology NYC clinic. 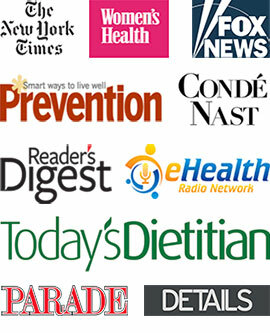 Get the care you need in the safe, reassuring hands of the best rated cosmetic dermatologist in NYC. A cosmetic treatment that New York dermatologists have used with great success is called intense pulse light therapy or IPL. While not as cutting edge as the latest laser surgery being touted as the best way to alter your appearance with little or no aftereffects, IPL is a valuable tool your dermatologist has in his box of non-invasive techniques to treat your skin. Intense pulsed light also is referred to as flashlamp therapy and follows many of the same principles used by laser therapy. It sends beams of light directly into your damaged skin cells. The light turns into heat and damages the targeted cells. Certain colored targets, called chromophores, absorb the light. Instead of burning the cells like the high beam of a laser, IPL instead uses a variety of different color wavelengths to treat specific areas. IPL systems rely on a set of filters to refine the treatments. The filters reduce the need to heavily target every cell and instead can focus in on the chromophores that your NYC dermatologist wants to alter. Intense pulsed light is a non-ablative procedure. This means that the light is directed at the lower layer of skin, called the dermis, and doesn’t remove or damage the epidermis, or top layer of your skin. While this technique doesn’t always give you the dramatic results that ablative therapies do, you have very little, if any, downtime from the procedure and no lingering signs. You could visit your Manhattan dermatologist on your lunch hour to receive an IPL treatment and go right back to work with no one the wiser. There are a number of different IPL wavelengths; each designed to treat specific skin disorders. 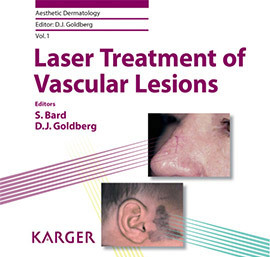 For example, the IPL wavelength designed to treat vascular lesions targets the red pigments in your blood. The red pigment itself can be destroyed this way without damaging any other tissue or surrounding skin. Melanin is targeted with a different wavelength used to treat age spots and pigmented birthmarks that lie flat on your skin. Hair removal utilizes the melanin wavelength that aims its light at your hair follicles. Because this machine is sensitive to color, it’s most useful on dark hair and doesn’t work as effectively on light hair. The IPL is so non-invasive, however, that it’s safe to use on your arms, face, bikini lines, chest, back and legs, really anywhere you want to get rid of dark hair. As with any cosmetic dermatological treatment, your medical skin specialist will explain how the IPL works and what you can expect from each treatment. You should go into any cosmetic therapy with realistic expectations because teach treatment may not produce the level of results you were hoping for. Additionally, your dermatologist in NYC needs to give you an exam, including a medical history to discover any underlying causes for your skin disorder that must be addressed before you can begin. You’ll be asked to avoid any exposure to ultraviolet rays either from the sun or a tanning booth for one month prior to one month following treatment. You may be given a topical anesthetic to numb the affected area, but most people don’t need that. You’re asked to wear protective eye wear so that you don’t accidentally look at the light. A cooling gel is applied to your skin. The IPL has a glass surface that’s smooth; it’s rubbed against your skin on the affected area. You can leave as soon as the treatment is complete. To get the results you expect, you need will likely require a series of treatments spaced 1 month apart. You’ll feel very little, if any pain. IPL is one of the most painless facial rejuvenation techniques you can get. Some say it feels like your skin has been snapped by a rubber band or that it’s been given a quick pinch. To reduce any risks of having your skin disorder return, your dermatologist will instruct you to apply liberal amount s of sunscreen, SPF 30 or greater, at all times when you go outside. Pay particular attention to protecting your skin after you’ve had any kind of cosmetic skin treatment because your skin is especially vulnerable while it’s healing. 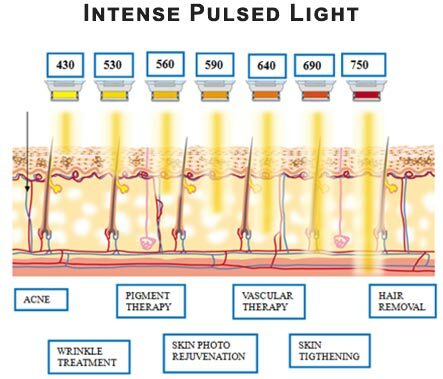 Do you have any questions about Intense Pulsed Light (IPL) treatments? Would you like to schedule an appointment with an internationally recognized, best rated dermatologist in NYC Dr. Susan Bard of Manhattan Dermatology? Please contact our Midtown or Upper East Side NYC clinic for a consultation with cosmetic and laser dermatologist in Manhattan.